It was 35 minutes past the scheduled start time when everyone had finally made their way through the security and Dan Tangherlini, acting administrator of the General Services Administration, took the podium. He assumed by the size of the crowd — an estimated 350 people, some of them watching on a screen in an overflow room — that there was a lot of interest in building a new headquarters for the Federal Bureau of Investigation. “I think that bodes pretty well for this project,” he said. 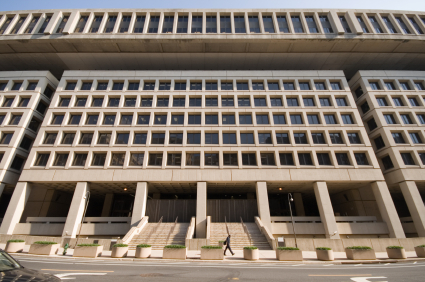 Six weeks after issuing a broad search for ideas of how and where to build a consolidated headquarters for the FBI, developers, Tangherlini and his staff reiterated why they wished to swap the J. Edgar Hoover building property on Pennsylvania Avenue for a new consolidated FBI headquarters: the Hoover building is obsolete and the government has limited capital to build a replacement. Posted: 1/21/13 at 8:56 AM under FBI, News Story.